For the third time in a row, the I-League champions will be decided in the last round of the tournament, with both Chennai City FC and East Bengal both vying for the title. 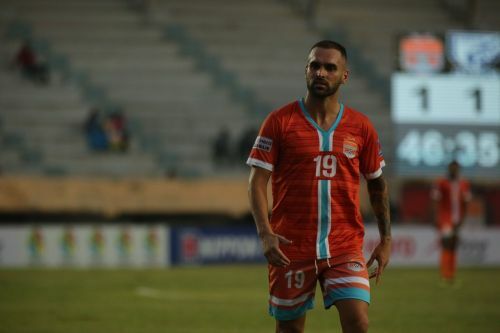 While Chennai City will simply need a win against Minerva Punjab to lift the title, East Bengal will have to win against Gokulam Kerala and hope Chennai drop points in order to end their 16-year wait for the crown. But going into the last match, both teams will miss their key players. Chennai City will not get the service of their wrecker-in-chief Nestor Gordillo, who is suspended for the match. 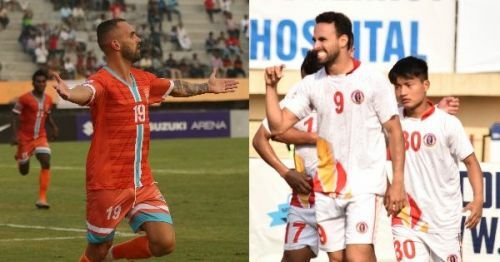 On the other hand, East Bengal will miss Jobby Justin who was handed a long six-match suspension for spitting on Aizawl FC player Kareem Omoloja. However, both the teams have enough players who can lead them to glory. In this article, we will discuss five players who can make an impact in the title race. The I-League has been bestowed by some talented and famous foreigners over the years. Some quickly made a name for themselves and earned lucrative contracts after their exceptional performances, while others eventually faded out after failing to leave a mark. When Pedro Manzi took the field against Indian Arrows in the first match of this year’s I-League, not many would have noticed him. After all, he was completely new to the league, as were rest of the four foreigners of Chennai City. What transpired in the 90 minutes of the match was enough for the Uruguayan-born Spanish player to force Indian football fans to sit up and take notice. He again scored in the third match against Gokulam Kerala before he was forced to sit out for a couple of matches due to an injury. He could not find his usual form for the next few matches. But the game against Shillong Lajong at home saw Manzi at his destructive best as he scored a hat-trick. After that, there was no stopping the 30-year-old, who has kept on scoring goals. He scored in the very next match against Gokulam and registered his fourth hat-trick of the campaign against Neroca. With 20 goals, he is now the joint-top scorer alongside Willis Plaza of Churchill Brothers. What makes him distinct is goal-scoring ability. He can turn a half chance into a goal. His positioning is brilliant and understanding with Nestor Gordillo and Sandro Rodriguez is astonishing. No matter what, Chennai City will be looking to their main man before they face Minerva Punjab in their final game.